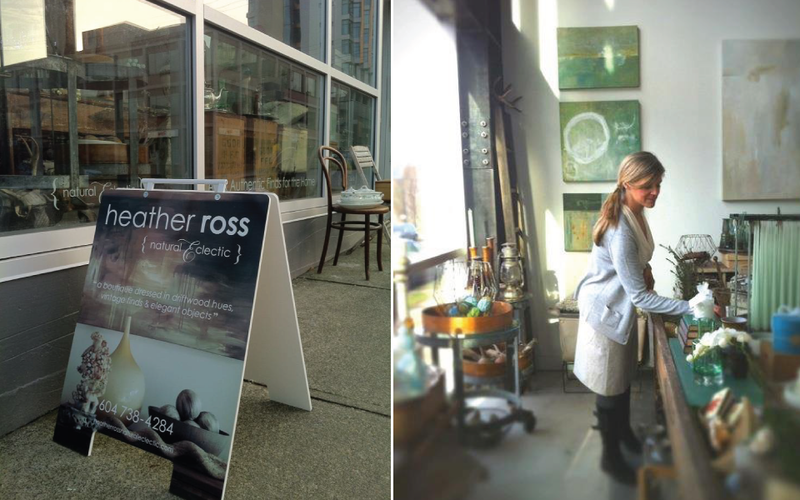 Artist, photographer, author and stylist Heather Ross is known for her wonderful sense of color, keen eye and evocative imagery. 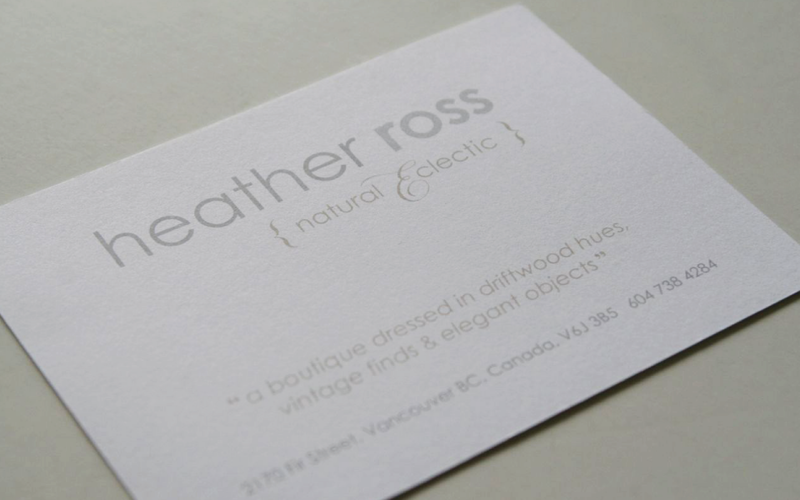 Her elegant nature-inspired aesthetic is influenced by both her West Coast upbringing in Vancouver and two years spent living and antiquing in Paris, France. 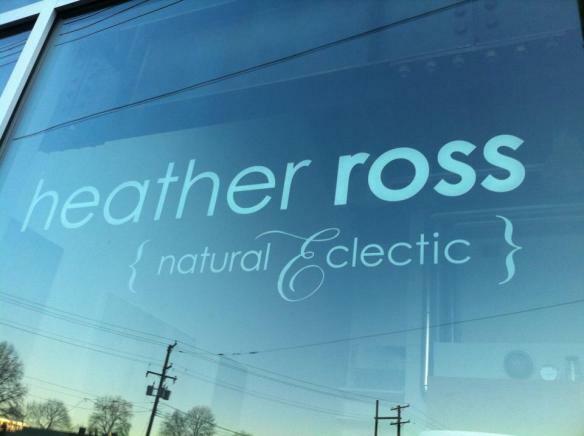 In 2013, she moved her boutique to a new Vancouver location and was in need of an updated look. 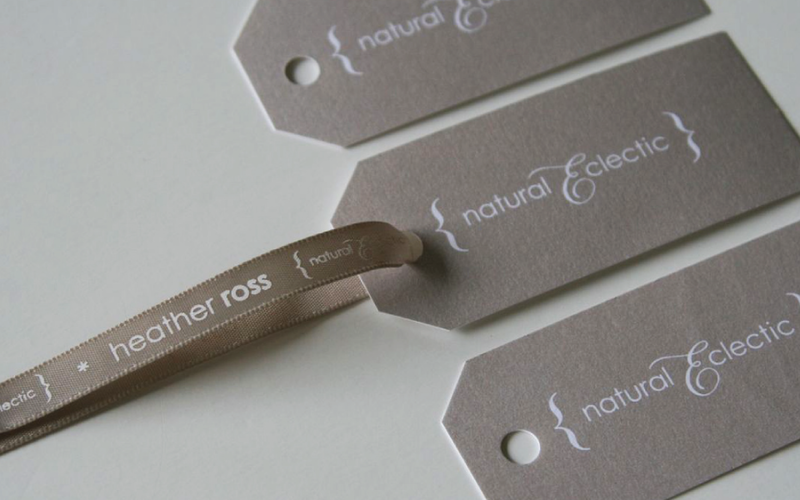 The new brand reflects her gentle and elegant nature.